In a 4-2 vote, the Doraville City Commission rezoned the 160-acre former GM Plant site from a manufacturing to a commercial district clearing the way for its envisioned Atlantic Station-style mixed-used development. The rezoning ordinance included a restriction against an indoor recreation facility slamming the door on a relocated Atlanta Falcons stadium. The Commission also rezoned 12 acres adjacent to the GM Plant site to attract education and science-based institutions. 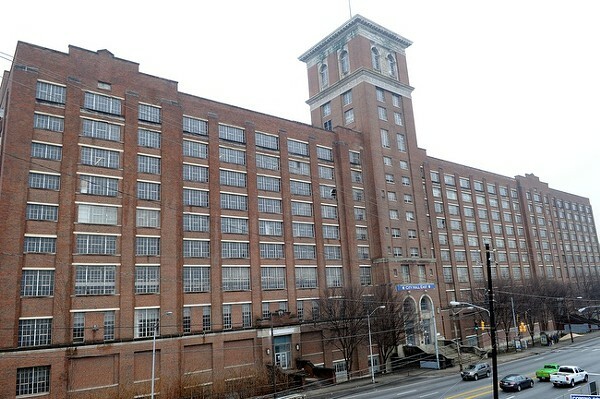 Jacoby Development Inc., the developer that turned an old steel mill into Atlantic Station — a live-work-play mini-city in Midtown — recently completed the initial demolition and site remediation of the 128-acre site of old Ford Motor Company plant in Hapeville along I-75. By fall, the development will enter Phase I – construction of light industrial and parking. The $1.5 billion development will be called Aerotropolis Atlanta because of its close proximity to Hartsfield-Jackson International Airport. The 10-year development proposes office space, hotels, retail, restaurants, a light industrial business park and a 4,000-space airport parking facility. More than 90 million passengers passed through Hartsfield last year, the world’s busiest airport. Aerotropolis Atlanta will be “a direct connection” to the international terminal under construction, Condra said. The terminal will be located just across Loop Road from the Jacoby property. Plans call for shuttle service to be offered on Loop Road, so travelers can eat and shop during layovers. Hapeville Mayor Alan Hallman says while the economy might slow the completion date, the project is moving ahead. Sembler asked DeKalb County for $52 million in tax incentives to finish its 54-acre mixed-use development near the Brookhaven MARTA station. A couple of buildings are up, but last week, [Sembler President Jeff] Fuqua said nothing else will rise on the site unless taxpayers subsidize the project. He showed officials an aerial photograph of the site. They saw two mid-rise residential towers surrounded by dirt. The tax incentive proposal will meet with skeptical politicans and again face neighborhood opposition. DeKalb’s top elected official, Burrell Ellis, is worried about the precedent of giving such a generous handout. At the same time, he fears getting stuck with a raw construction site. Bill Draper, a longtime critic of Sembler, said neighbors would like to see the project completed so they could shop in the stores and dine at the restaurants. “We want to see it finished, but we don’t want to have to pay to see it finished,” said Draper, who is a board member of the Brookhaven-Peachtree Community Alliance.